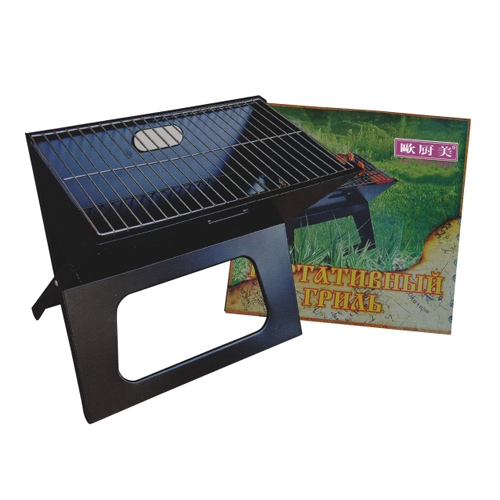 This fantastic Barbecue Grill Oven help you picnic carry a bbq Grill Oven like a case! Shaft adopts a steel plate the barbecue grill oven can be folded easy and convience. No need to worry about the high temperature will has discoloration, deformation. Product of barbecue grill oven design is clever, easy installation, special portable design makes it ease to carry. Looking for ideal Portable Charcoal BBQ Grill Manufacturer & supplier ? We have a wide selection at great prices to help you get creative. All the Folding Charcoal Bbq Grill Oven are quality guaranteed. We are China Origin Factory of Barbecue Grill Charcoal Bbq Oven. If you have any question, please feel free to contact us.